Are you one of my clients? 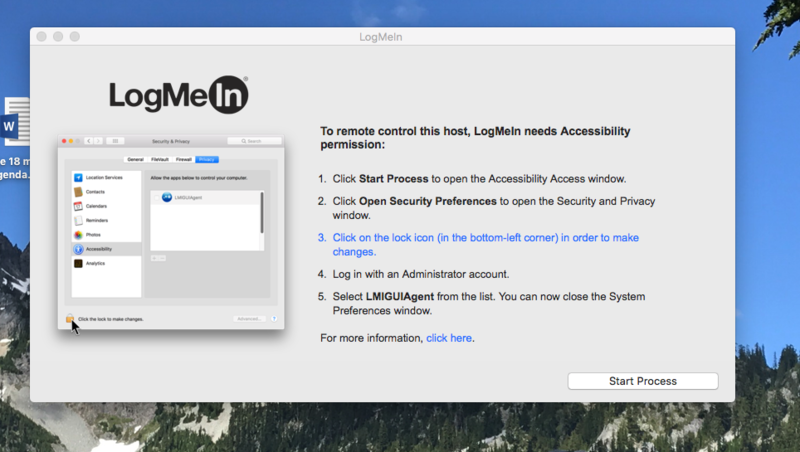 Do you have LogMeIn installed so I can remotely access your Mac to provide you with remote support? If so, a recent update to LogMeIn requires you to grant it greater access to your Mac. A window notifying you of this will appear on your Mac’s screen. Please go ahead and give LogMeIn the access that it is requesting. This window includes some brief instructions on how to grant the requested access. Here is my version of the same instructions. Please try my instructions if you’re unable to follow LogMeIn’s instructions of if you’ve dismissed LogMeIn’s window. Click the Privacy button at the top right end. Click the padlock icon in the lower left corner. Enter your password when prompted. Click on Accessibility from the scrolling list on the left-hand side. Insert a checkmark next to LogMeIn Client (it apparently might also be named LMIGUIAgent). Use the image below as a guide. 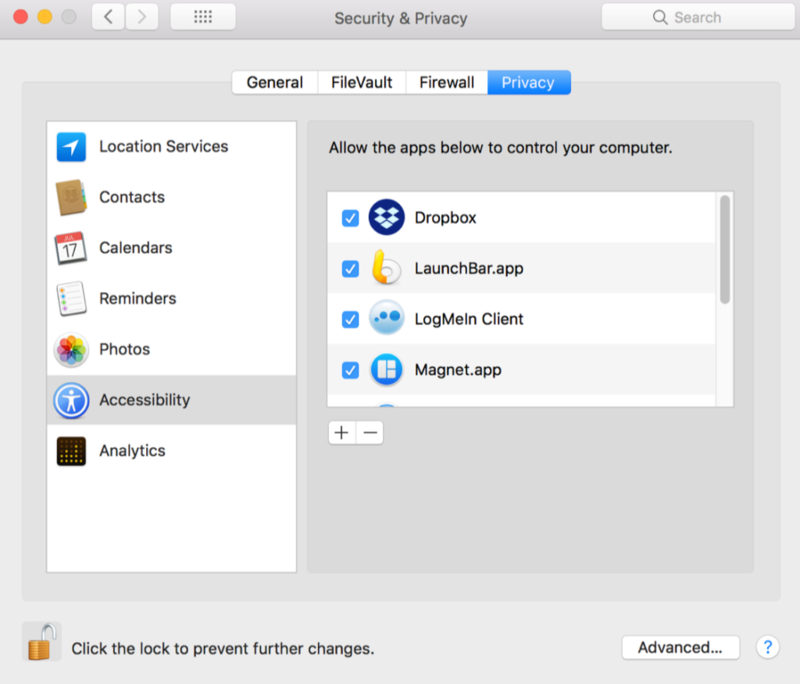 Read more about access, LogMeIn, mac, permission, update.